I watched the Dodgers win a playoff game two nights ago. This is notable not so much for the Blue Crew’s victory but rather because of the fact that I actually watched it. Due to a combination of obstinacy and greed from Time-Warner cable, roughly 75% of Dodger fans can’t watch the team’s games. Normally such a thing would be an annoyance at worst, but the fact that I haven’t been able to listen to the legendary Vin Scully call the action is downright sinful. In any case, baseball just hasn’t been on my mind until now. 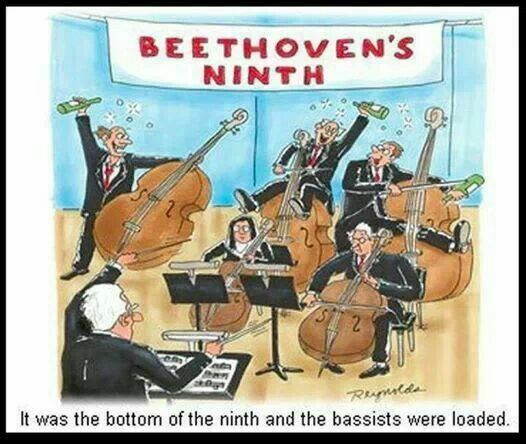 Why is this relevant to those of you who happen to be classical music fans? Because I had completely forgotten to respond to a request/challenge from Brian Lauritzen (sports fan, classical music host extraordinaire, and friend of All is Yar) on the topic of baseball walk up music. 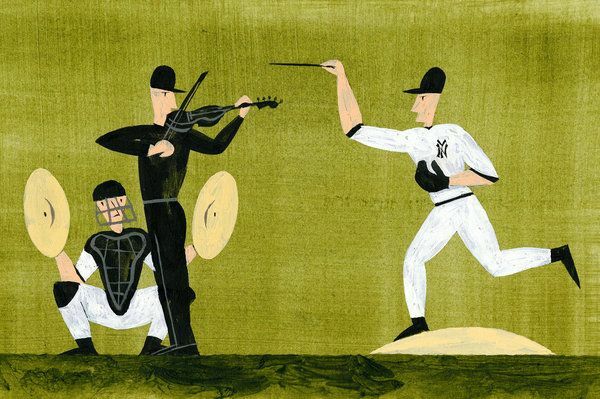 At the beginning of the MLB season, Mr. Lauritzen published a piece on his blog titled, “Mozart at the Bat.” In it, he talks about baseball walk-up music, i.e. the tunes a player chooses that will be played as he walks up to bat after his name is announced over the ballpark’s public address system. More to the point, he suggests classical music works that would make good walk-up music, and invites others to make suggestions of their own. I loved the idea. It’d be hard for anything to beat Dodger Adrian Gonzalez’s choice of “El Mariachi Loco,” though decided to start putting together a list of my own. Then I got distracted, baseball was not top of mind, and sadly, I let my list languish as a draft throughout the summer. Mea culpa, mea culpa, mea maxima culpa. Ives — Three Places in New England, “Putnam’s Camp”: I appreciate tradition and still acknowledge the brilliance of tweaking it intelligently, not unlike those of us who love the idea of having a pitcher bat in the #9 spot (boooo to Designated Hitters) while stipulating that it slows the game and that the double switch doesn’t require great cognitive skill. Ergo, I love this particular Ives work for that hitter in that moment. I’d love to hear anybody else’s thoughts. Doesn’t have to be a whole line-up’s worth, even one or two would be fun. Thanks again to Brian for bringing this up in the first place. Tags: Aaron Copland, Andrew Norman, baseball, baseball walk-up music, Bernard Hermann, Brian Lauritzen, Chopin, Gershwin, Haydn, Ives, John Adams (composer), Leonard Bernstein, Mahler, Meredith Wilson, MLB, Revueltas, Shostakovich, Stravinsky. Bookmark the permalink.